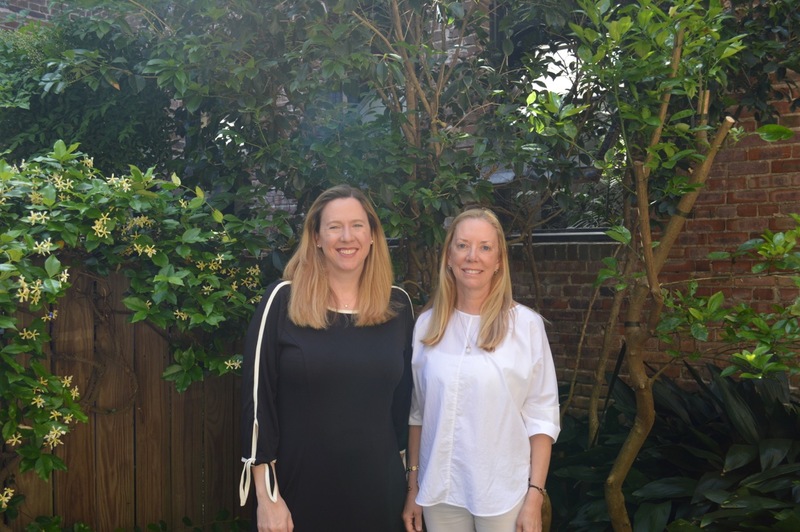 We are thrilled to announce that our very own Ginger Scully and Lois Lane have been awarded the prestigious Realtor of Distinction award handed out by The Charleston Trident Association of REALTORS®. Lois took home the coveted Platinum award which is only handed out to the top selling real estate agents in the Lowcountry. Ginger is one of only four real estate professionals in the Tri-County area to receive an honor for outstanding property management. Congratulations on all of your hard work Ginger and Lois! We are proud that you have been recognized by professionals in your industry for outstanding achievement. 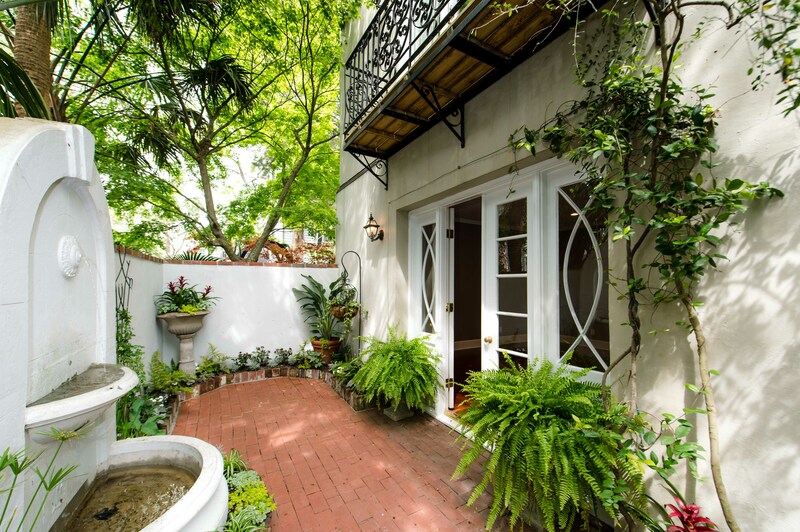 With summer right around the corner, this private courtyard at 5 Legare Street beckons you to sit back and relax, perhaps sip some sweet tea and nap in the sun . This fabulous South of Broad condo is being offered for sale by Lois. The home features a completely renovated kitchen and bath, graciously proportioned living and dining areas and a master bedroom that opens to the beautiful outdoors. Nothing says Lowcountry Living more than a white picket fence surrounding a garden. Imagine yourself walking out of french doors to a wrap around porch at this stately home located at 54 Smith Street. Situated on a corner lot in Harleston Village, this home features high ceilings and gleaming hardwood floors throughout. 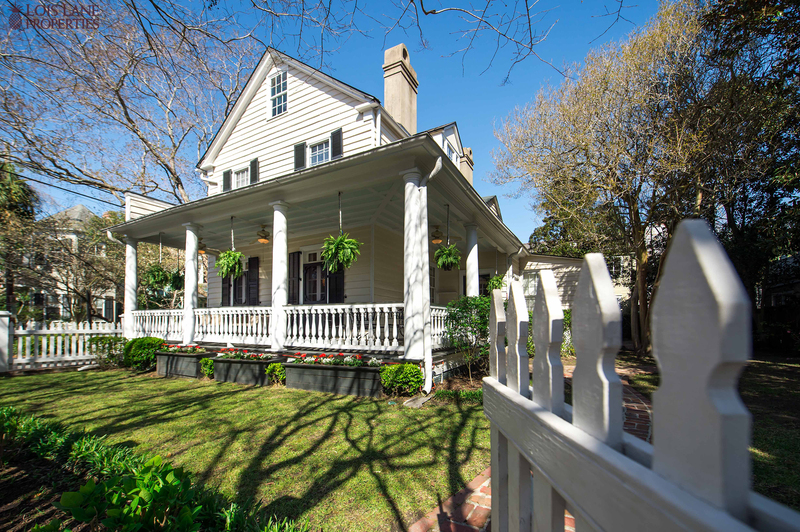 Nothing says Lowcountry Living more than a white picket fence surrounding a garden. Imagine yourself walking out of french doors to a wrap around porch at this stately home located at 54 Smith Street. 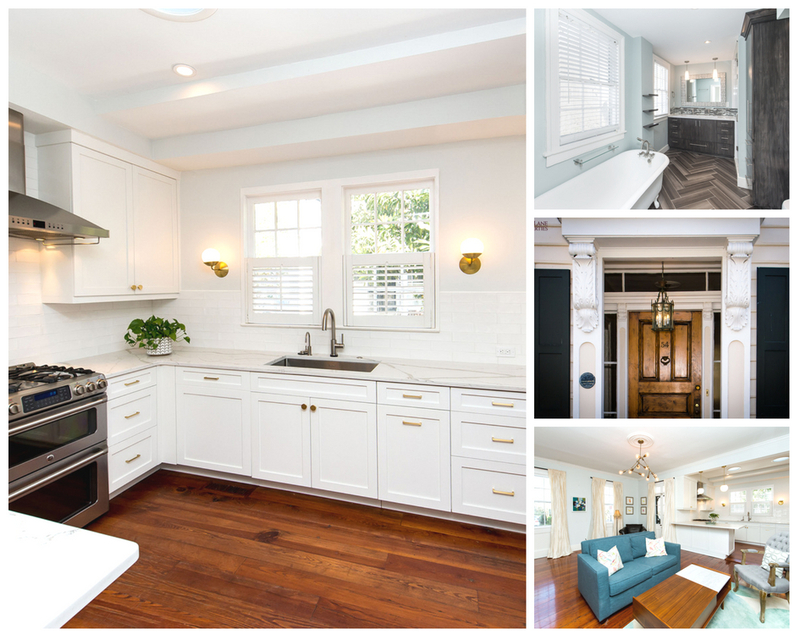 Situated on a corner lot in Harleston Village, this home features high ceilings and gleaming hardwood floors throughout. 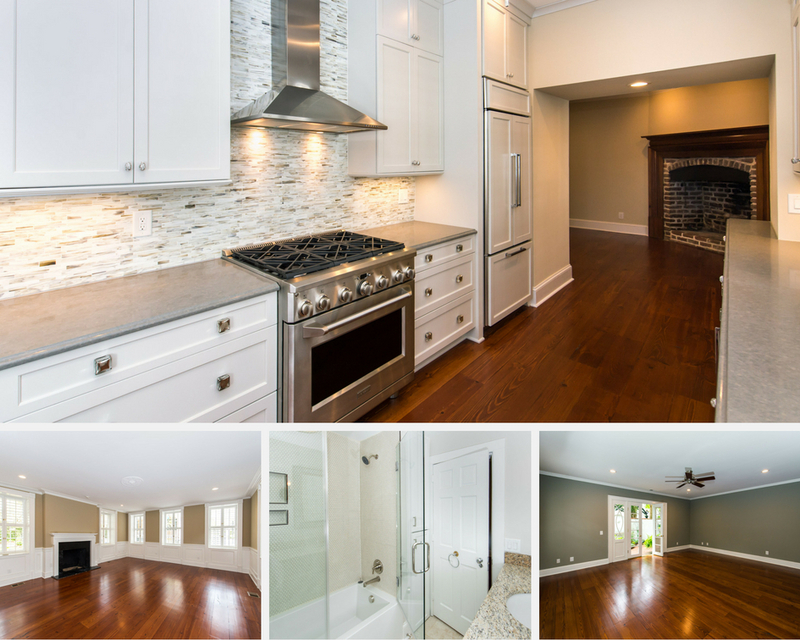 The kitchen and two bedrooms were completely remodeled to include custom built-ins for extra storage. 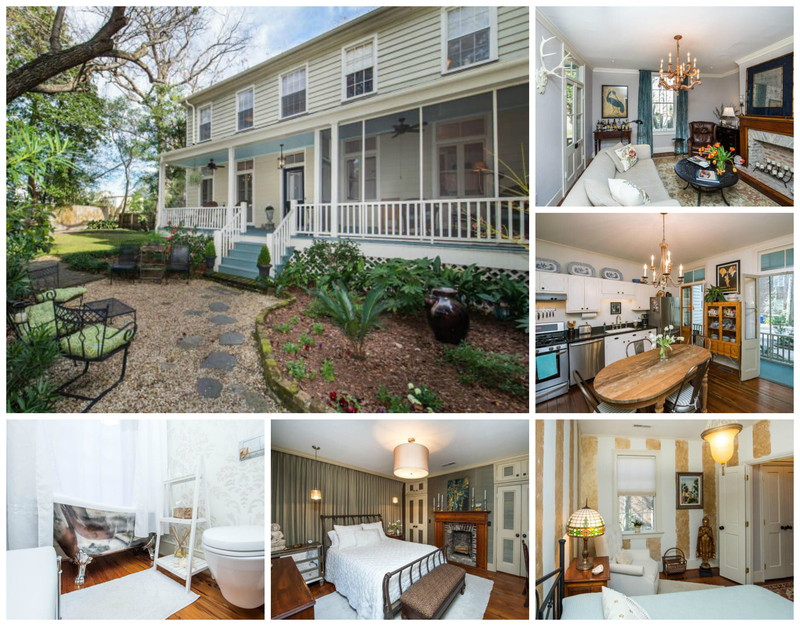 This 4 bedroom, 3.5 bath also boasts a cistern which has been converted into a wine cellar. Open the doors and let the summer breeze in. Located in Harleston Village,173 1/2 Wentworth Street was the original kitchen house to the Daniel Fairchild House. 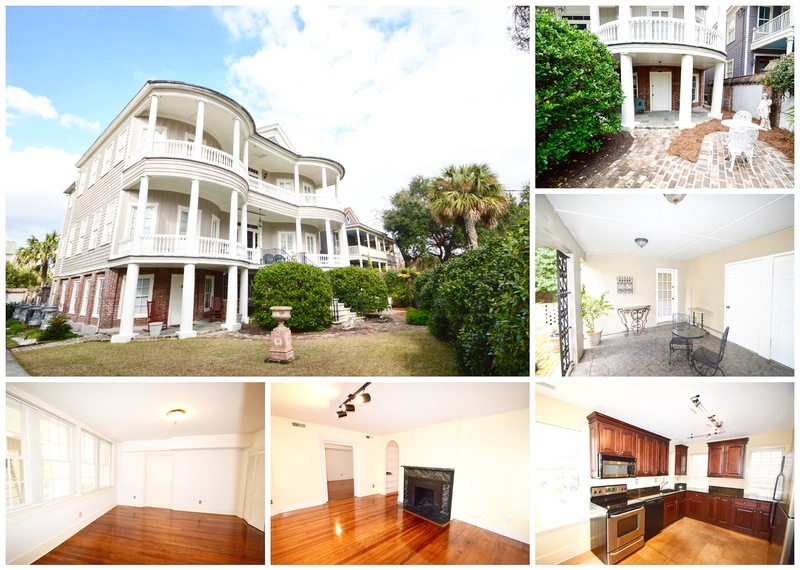 Constructed in 1842, renovations have just been completed on this 3 bedroom, 3 bath two story property. The home features an open floor plan, with a beautiful second story porch overlooking a walled garden. This house is perfect for entertaining or a weekend getaway if you live out of state. 44 Charlotte Street is being offered for rent for $2,850 / month. Just a few doors down from 44 Charlotte is another beautiful apartment being offered for rent by Ginger. 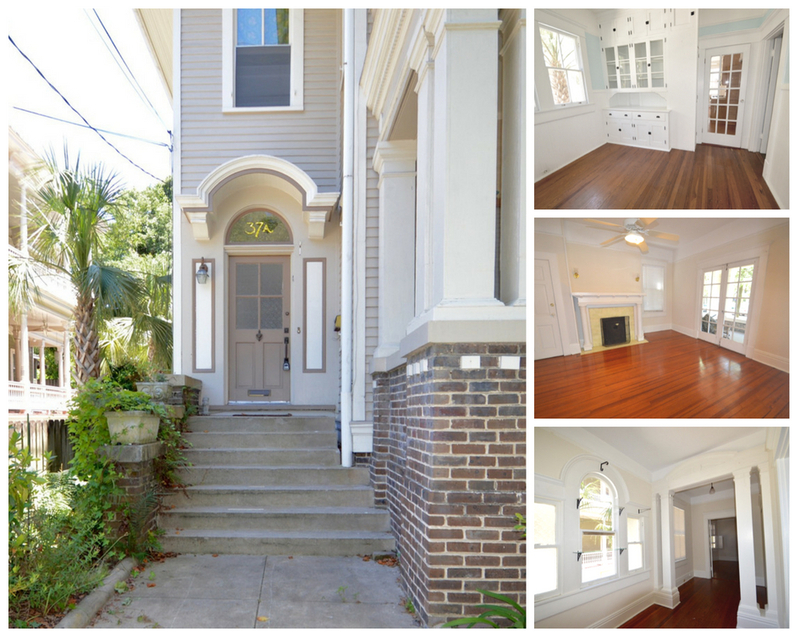 This 3 bedroom, 2 bath sits on a tree-lined street only steps away from the Upper King Street Corridor. The apartment on the first floor has tall ceilings, hardwood floors, natural light and plenty of outdoor space. The Master bedroom has a walk-in closet and a bathroom with a walk-in shower. The home also features two guest bedrooms and a well appointed kitchen. 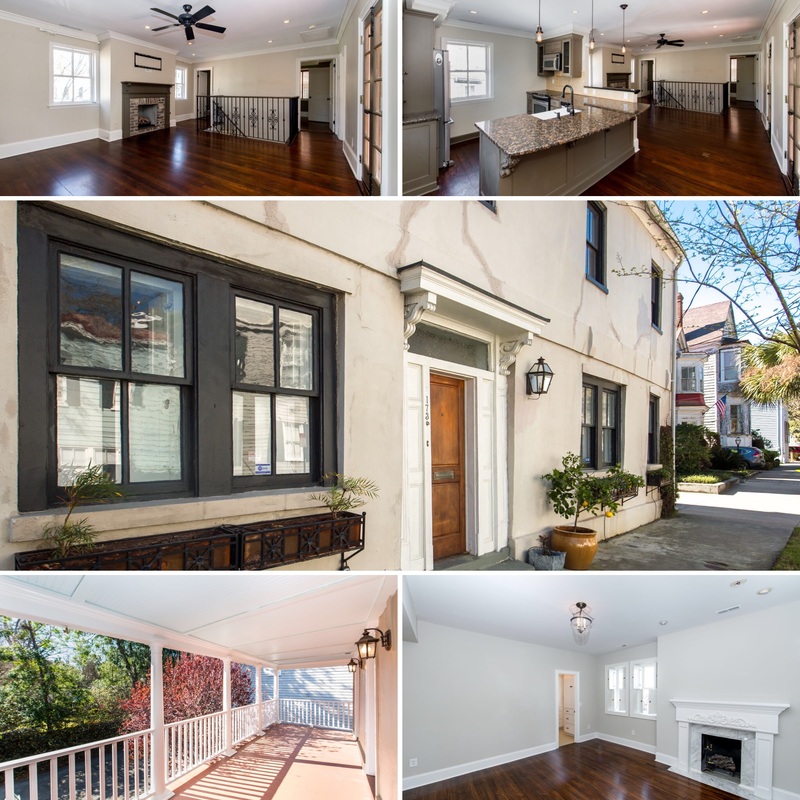 37 Charlotte Street rents for $2950 / month. This luxury 2 bedroom, 1 bath apartment on Chapel Street sits on the ground floor of a grand house. 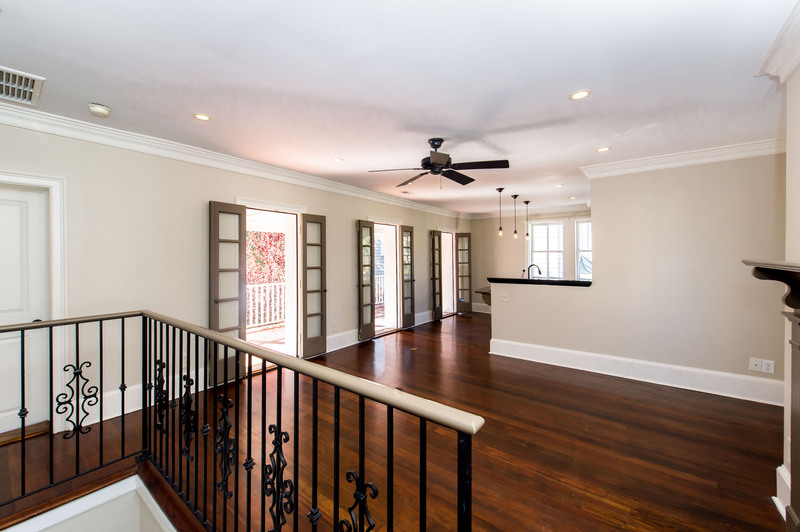 Features include large rooms, hardwood floors, and lots of natural light. The recently renovated gourmet kitchen opens out to a covered patio. But if you're not in the mood to eat-in, you are only steps away from Upper King Street's restaurant and design center. Rent is $2,250 per month. If interested, contact Ginger. 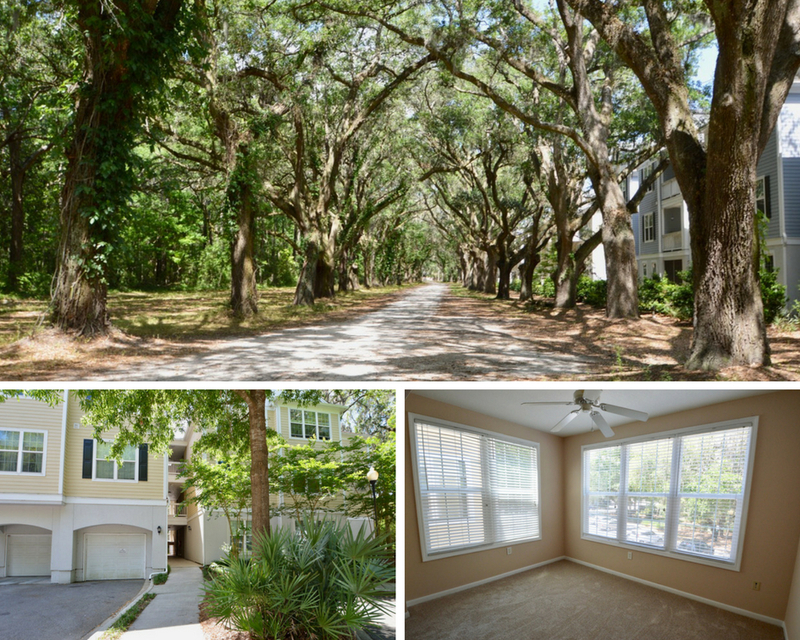 If city living isn't your cup of tea, and you're looking for something a bit more rural, Ginger says check out this spacious top floor condo located in the Twelve Oaks neighborhood on Johns Island. 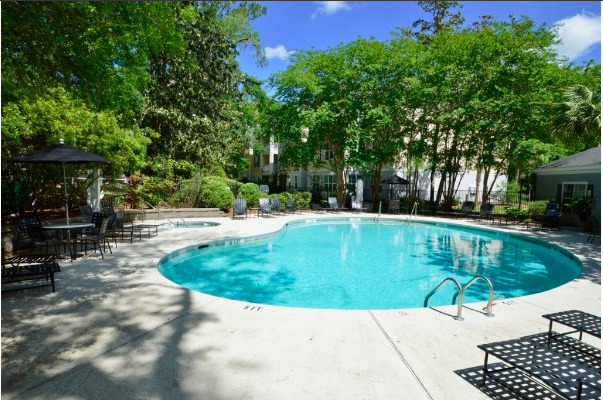 This 1 bed, 1 bath features a balcony and access to community amenities which include a swimming pool, exercise room and walking trails.